A Christmas card with no paper? No ink? No prints? No photography? 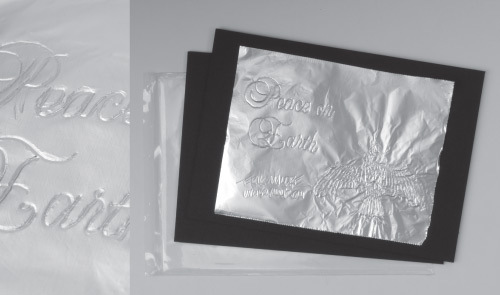 Foil rubbings of a toy dove accompanied the message of “Peace on Earth”.